Wow what a busy and energetic day! Thanks so much to the volunteers this week for a cracking job! 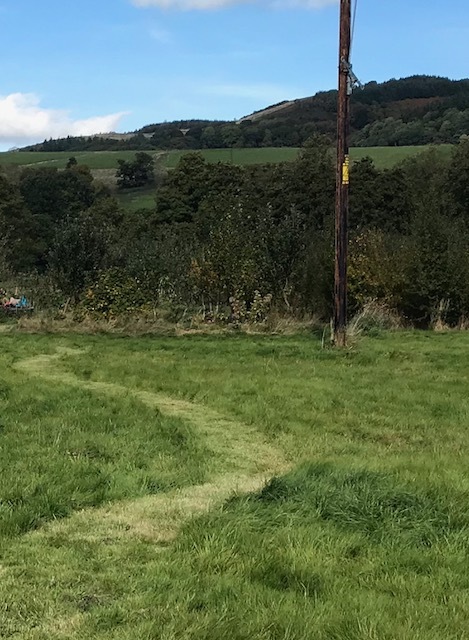 Thanks to Alex for the superb mown pathways which provide clear access into and around the orchard, these connect with existing paths to create a more cohesive park space and allow for a meandering walk through the orchard to fully enjoy the seasonal colours the orchard has to offer this autumn. 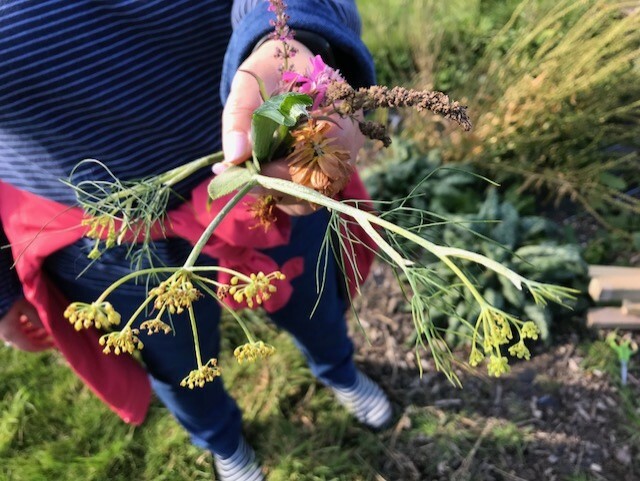 Thanks to Ruth for her weeding efforts in the herb garden again this week. 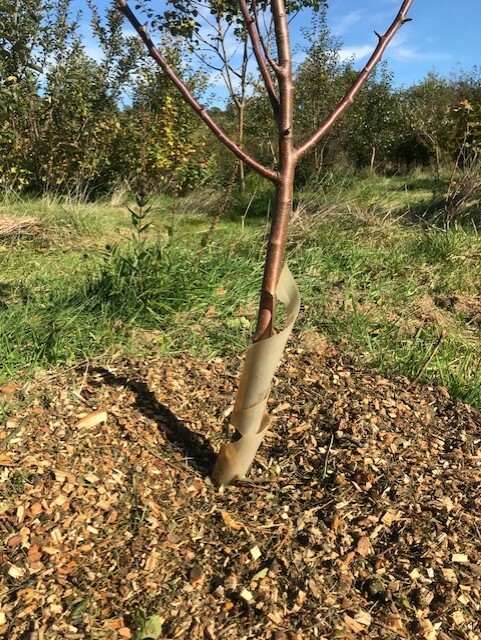 It was great to see the guys from Mencap enjoying the warm sunshine and eagerly chipping in with the mulching of the fruit trees and hammering in the stakes for the signs. Good effort! And thanks to Adam for the delivery of wood chip this week. bacteria to one dominated by fungi which is what a woodland ecosystem prefers. The fungi (known as Mycelium) create a strong interconnected network underground and they have a mutually beneficial relationship with the trees and plants in the woodland. 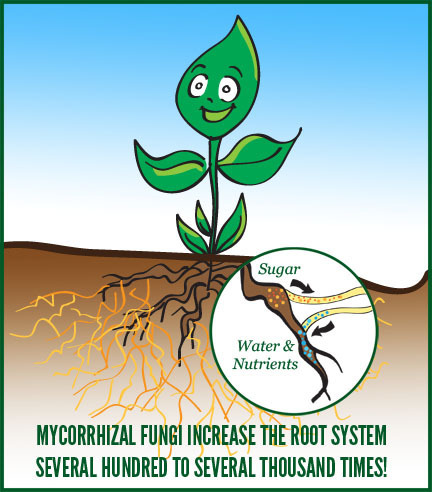 The mycelium connect to the plant roots and increase the root length and surface area making otherwise unattainable water and nutrients available to the plant. Where as the plants convert sunlight into sugars (photosynthesise) and make these sugars available to the mycelium who can not photosynthesise. This exchange is known as a symbiotic relationship. This special relationship helps strengthen and create a more resilient ecosystem.